THE NEW FIRE follows young engineers who are developing next-generation nuclear reactors that are a fraction of the size and cost of today’s nuclear plants. Unlike the current reactors, their main components can be built in factories and delivered to the site by truck, rail or barge. This isn’t a film about politics, or about how much damage we’ve already done, or pointing fingers at who is to blame. This is a film about a path forward, to show audiences that there is a technological solution - one that may surprise them. I understand that nuclear has had its problems over the years and that there are risks. But I’m more afraid of the risks of unchecked climate change than I am of a hypothetical nuclear accident. The scale of climate change is almost unfathomable and threatens the future of the human race. The United States was on a path to developing ground breaking nuclear technology in the ‘60s but then it stalled. Why haven’t we gone back to these promising discoveries to address the most pressing problem that humanity has ever faced? Well, it turns out that we have...I just hadn’t heard about it. Rather than a large Manhattan Project- scale effort, it’s several small startups, some founded by young people. Really impressive, idealistic young people who are determined to prove that nuclear energy’s best days lie ahead. This was the beginning of my obsession with the subject of nuclear power. But it wasn’t until I met the people at Transatomic Power and Oklo that I knew I had to make this movie. These brilliant young people – some of the most gifted engineers of their generation, who in all likelihood could have cashed in for a fortune by doing something else – believe deeply that nuclear power could play a key role in saving the planet. And they are acting on that conviction. They did the research. They raised the money. They used cutting edge computer technology to perfect their designs. They are the new face of nuclear power, and to me, the newest and most unlikely climate heroes. I want audiences to come away from THE NEW FIRE with a new perspective about a technology they may have dismissed until now. And new sense of mission to try and save our planet before it’s too late. Emmy Award-winning director David Schumacher began his career as a rock and jazz guitarist after graduating from Berklee College of Music. 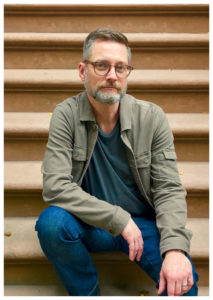 He entered the world of film and television working with such esteemed filmmakers as Barbara Kopple and Ken Burns and has since developed a client list that includes Columbia University and The World Economic Forum. Inspired and driven, his focus on environmental issues led him to create THE NEW FIRE, a new documentary that upsets the conventional wisdom about "bad old nuclear," and has won praise from critics and audiences worldwide. Derek Wiesehahn has over twenty years of experience as a documentary director of photography. 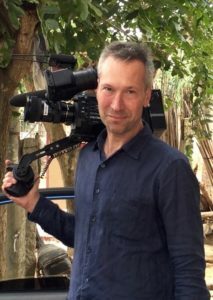 His recent cinematography credits include the 2010 Academy Award-winning documentary short, Music By Prudence, the 2013 Academy Award-nominated documentary, How To Survive A Plague and the 2014 Oscar-shortlisted documentary, God Loves Uganda. Derek’s camera operating credits include the 2011 Sundance winner, and Academy Award-nominated documentary, Restrepo, and its follow-up, Korengal. Most recently, Derek was director of photography for Newtown, which premiered at Sundance 2016 to broad critical acclaim. Ross Koningstein is an advocate of advanced technology nuclear energy. He is an engineering director emeritus at Google. Ross worked on Google's Renewable Energy Cheaper than Coal (RE<C) initiative. 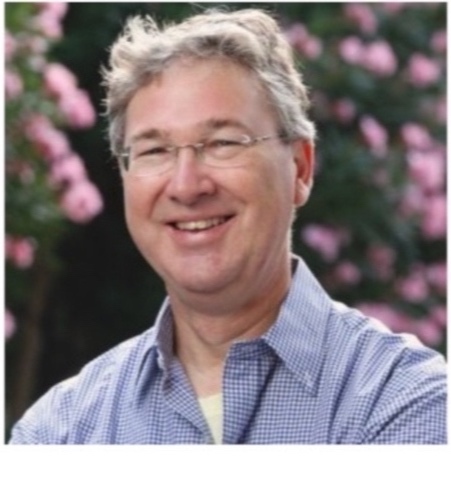 From this work he discovered that intermittent renewables could not economically solve climate change, and he co-authored the thought provoking article "What It Would Really Take to Reverse Climate Change". Ross then founded Google's Nuclear Energy R&D group, starting several efforts that he hopes may make a difference. Ross obtained a Bachelor in Engineering from Carleton University, and Masters and PhD degrees in Aerospace Engineering from Stanford University. Wendy Perez is an expert in executing engagement campaigns for brands and networks. As an account supervisor at Devries PR Firm and Edelman, Wendy provided strategic counsel to clients and developed and executed consumer engagement campaigns that authentically, transparently and creatively connected with their audience. Prior to joining Edelman, Wendy served as the partnerships & public affairs manager at Viacom International Media Networks. Wendy graduated from Barnard College with a BA in Urban Studies and a double minor in Environmental Science and Economics.